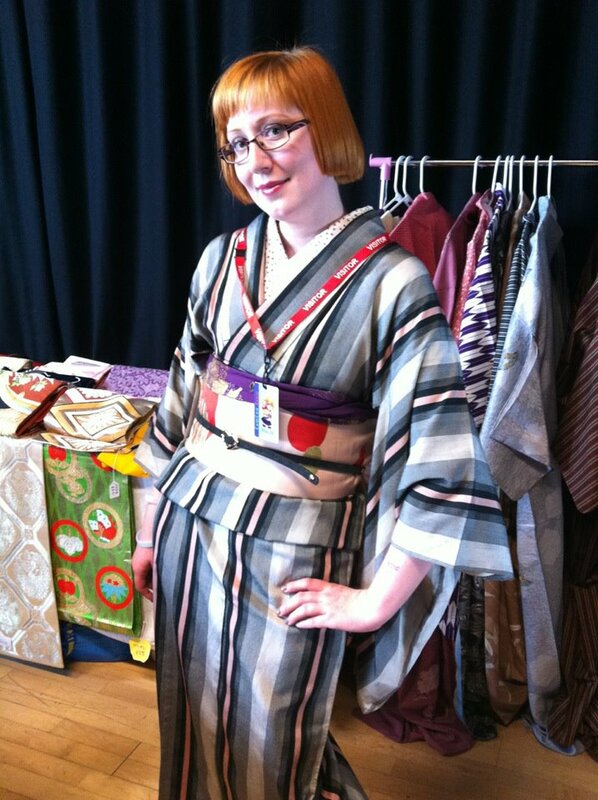 Strawberry Kimono: I did wear kimono in May! 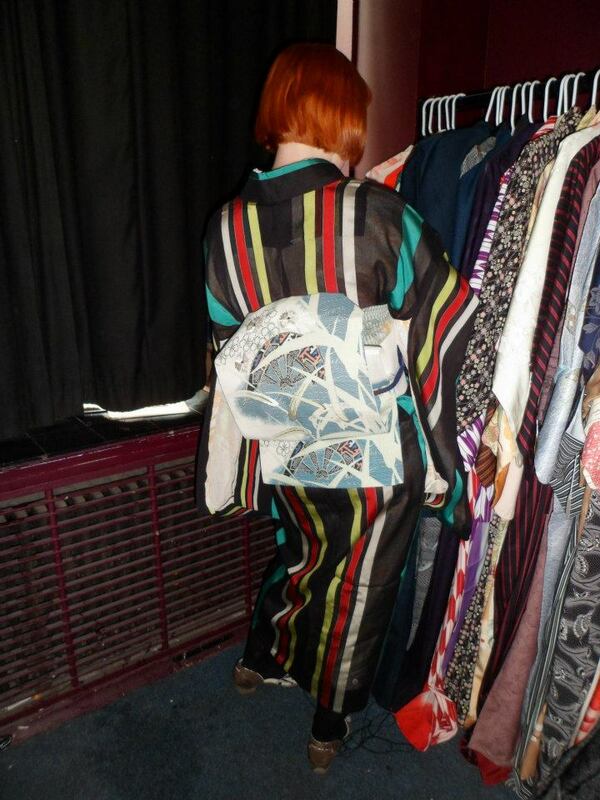 I've been pretty silent on this blog because I've been pretty busy with various events. 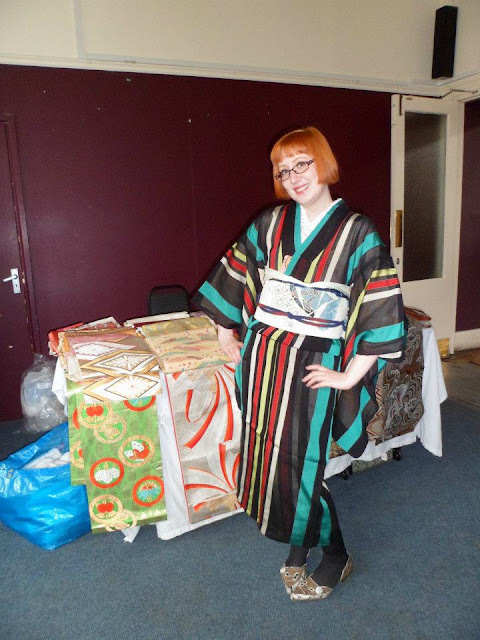 I did wear kimono though and here are some photos as proof! 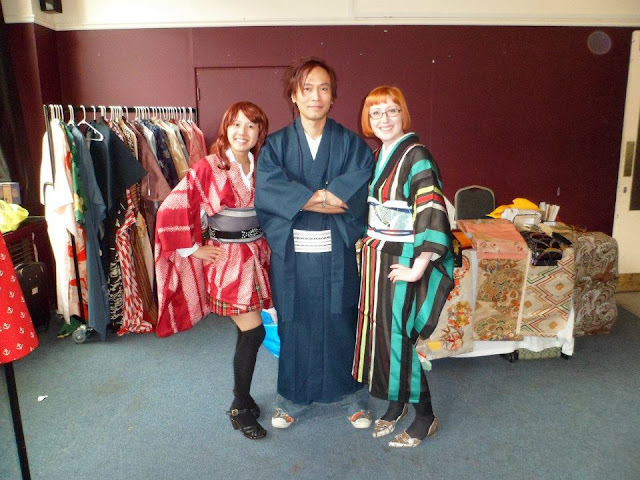 First Hong and I went to the Golden Festival organized by the Cambridge Anglo Japanese Society at The Cambridge Union. I did a kimono talk there, and also sold some of my kimono. 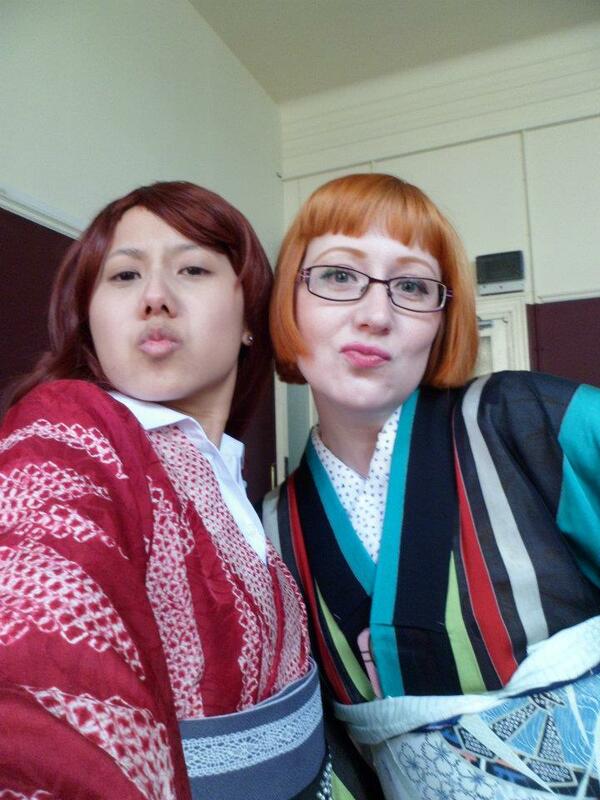 Us, being extra fabulous selves. This guy was walking around, and we couldn't pass up an opportunity to dress him in kimono. 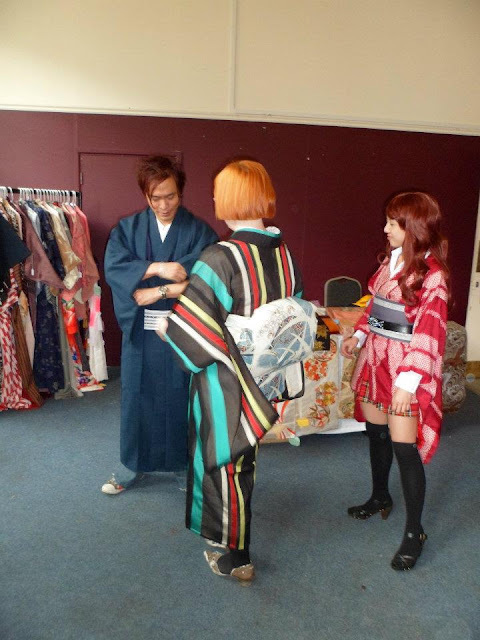 I wore my only sha kimono with my super adorable ro obi, which I never had an opportunity to wear until this moment. 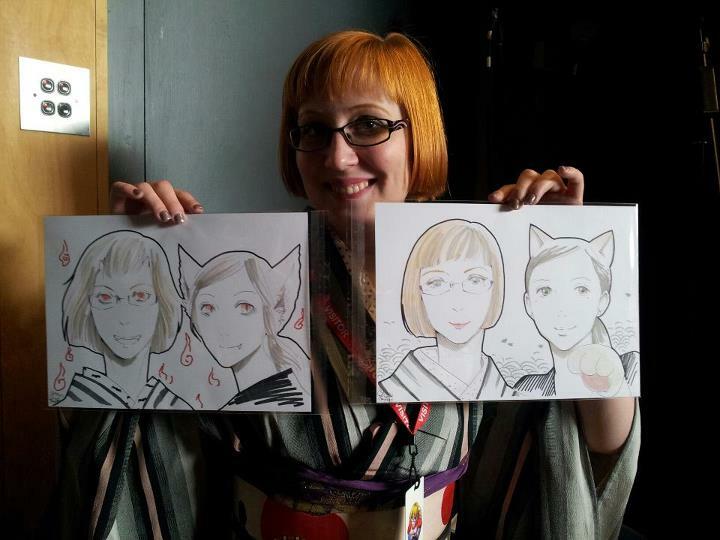 We saw several artists doing manga portraits, so we requested ours to be done too. The one on the right was done first, but we took one look at it and said it was too nice! So we requested an "evil" portrait too. 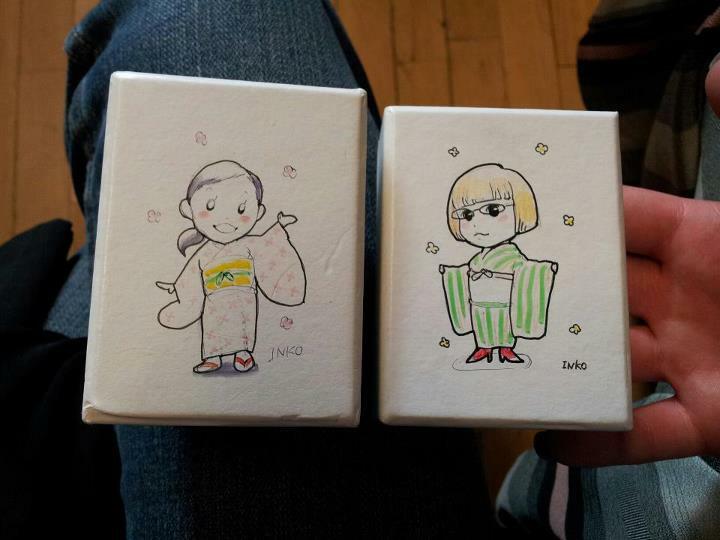 :) I love them both and will frame them! I also asked one of the artists to decorate my Moo card box, and when Hong saw it she had to ask for her box to be decorated too!